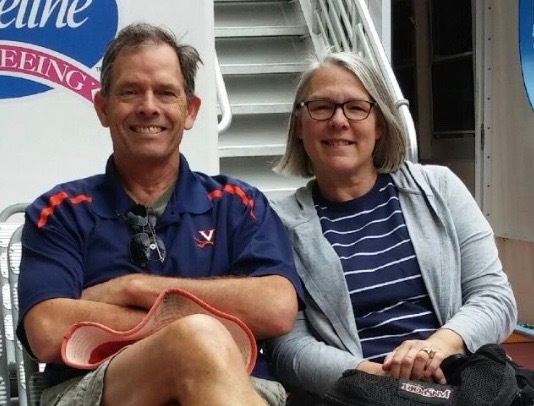 Mike has been in pastoral ministry since 1982 in the Presbyterian Church in America (PCA). After serving in Charlottesville at Trinity, he planted Fort Worth Presbyterian in Texas and then returned to Virginia to plant Redeemer PCA in Lynchburg/Forest. Seeding RUF campus ministries has been integral in his calls. Since retiring from full time church pastorates in 2015, he has been led to meet interim needs in the church. Mike and Janice have been married since 1978 and are blessed with three children and 4 grandsons. Janice is a retired Christian classical school teacher and enjoys art and nature study; Mike enjoys golf, the beach, and outdoorsy stuff. Please contact Mike for links to recent sermons and updates on his availability.